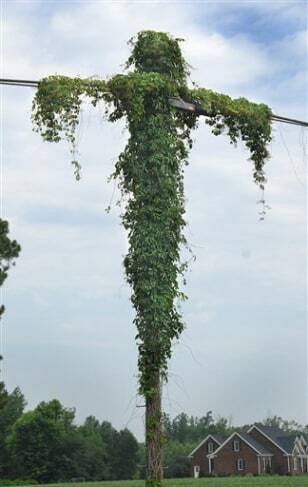 A patch of kudzu grows on a utility pole, in Kinston, N.C., on June 28. People in the area see a likeness to Jesus Christ on the cross. Kent Hardison runs Ma's Hot Dog stand nearby. He says he was getting ready to spray it with herbicide until he noticed the resemblance.